Since I love chalkboards, I thought I would show a few around our house. 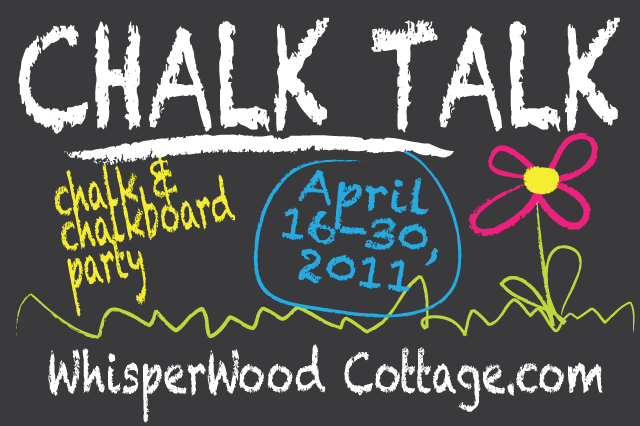 Can't wait to check out how others use chalkboards in creative ways. We have an old chalkboard that hangs on the pantry door so we can leave notes for each other, write little reminders to ourselves or so my son can draw and write funny things for us to notice. What's up with our family number? 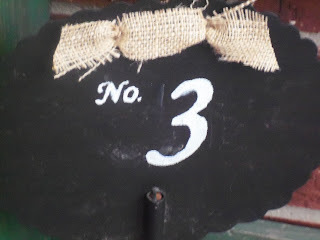 See the post called "3 is the magic number." 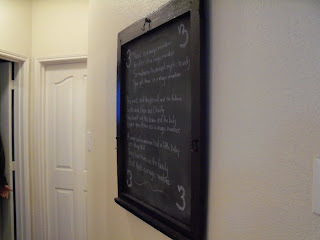 An old window with chalkboard hangs as artwork with the lyrics of our family song. This is a dry-erase wall in my son's room. 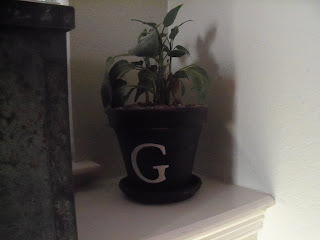 We painted it with dry-erase paint that you can usually find in stores next to chalkboard paint. It's not chalkboard but it's just as cool! He loves this wall. 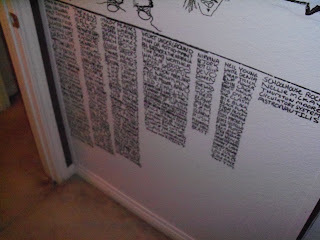 I love that dry erase wall in your son's room...I've never seen that stuff and my daughter would love it! 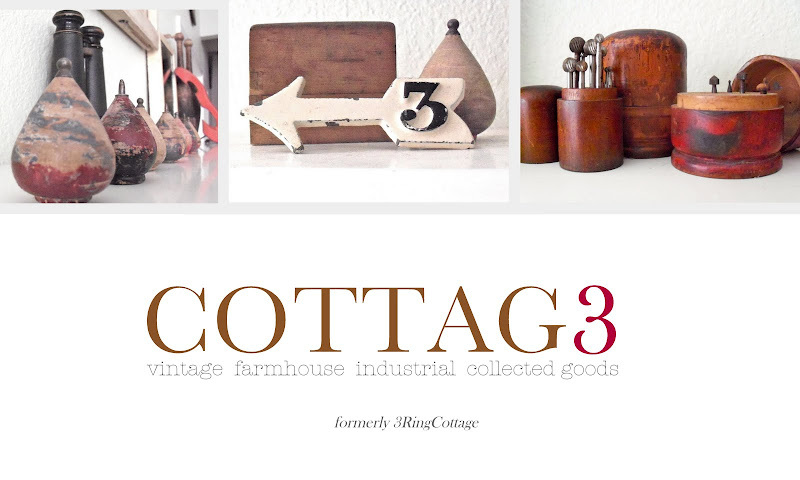 Maybe a project for this weekend. 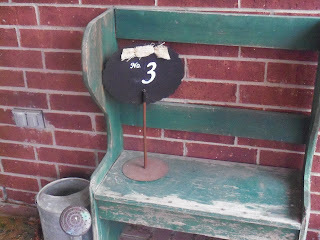 That chalkboard sign at your front porch is too cute. 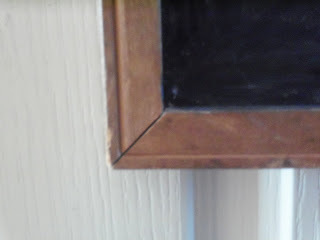 I have one chalkboard pic in our kitchen but we don't use it that often. You are doing great! For being a newbie blogger, you've accomplished far more than I have in my 5 month existence. I just learned how to change my header! btw...your new look is perfectly lovely. Keep on learnin' and posting. Thanks everyone. To answer ellie's question, I've been blogging since January 1, 2010 (a couple of months). Love all of your chalkboard ideas! Great job on them all! :) Thanks for the inspiration! 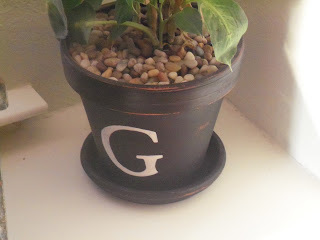 I love chalkboard paint so much! Love this post. new follower from linky party! Добряк сумерки! Я хочу говорить в мире гибель всяких хороших и нехороших производителей бытовой техники, но техника Кенвуд постоянно стояла и стоит особняком ибо это яркий пример надежности, кто гарантирует бренд [url=http://kenwoodz.ru]Kenwood[/url], это на протяжении долгих лет заклад качества и долгое век службы различных приборов аля кофеварка, чайник тож магнитола. Когда вы задумались над приообретением бытовой техники - берите [url=http://kenwoodz.ru]Кенвуд[/url] - не пожалеете! 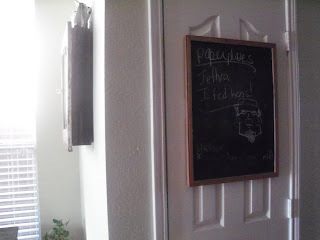 Can you tell me how you attached the chalk board to your pantry door? I've been wanting to do the same thing but not sure how to make it work.